Some media outlets want you to rage against a new lobbying organization that claims to represent sports fans, but is actually a front for satellite companies looking to destroy cable TV sports. But who is really manipulating who here? The Washington Times ran a story this week about something called the "Sports Fans Coalition," a newly formed lobbying group that says it will give sports fans "a seat at the table" in Washington D.C. But according to the story, the group is actually a front for satellite companies that want to enrich themselves at the expense of cable companies. The story includes a rather damning quote from a "lobbyist watchdog." "It seems like a classic front group," Melanie Sloan, executive director of Citizens for Responsibility and Ethics in Washington told the Times. "Their whole point is to get away with something and fool people into making them think they care about sports. It's the product of lobbyists." Yes, it is the product of lobbyists. Unfortunately, so is this story. It was fed, almost word-for-word, to the Washington Times—as well as several other sports blogs and media outlets, including Deadpsin—by a PR firm that works for (surprise!) the cable industry. I have some juicy information I want to leak anonymously to either Gawker or Deadspin about an upcoming battle between satellite and cable companies over sports programming. I was hoping to leak some documents to you. Can you tell me which editor at Gawker/Deadspin would be best to approach about this, and could they guarantee my anonymity? Dashspin: can you give me some idea of what it concerns? Below is the main gist of the information we have, though I do have more if you need it. You and Nick Denton are the only two people I've approached about this, so please let me know if you think you're able to use it. We've gotten wind of a new "sports fan" coalition that we expect to be launched sometime this fall. The short version here is that some former satellite industry execs have put up the backing for a coalition that would essentially be anti-cable on the issue of sports programming access. It's going to pretend to be a grass roots organization but in reality it's corporate astroturf to keep fans from getting their games. There was more to the email, but we'll get back to that. I looked over the presentation and realized it was basically a business plan for a non-profit group. Since the group didn't even have a website up yet, it seemed a little early to be blasting them. Plus, the stated primary goals of SFC seemed reasonable: Lobby Congress for a) no blackout rules for teams that play in publicly funded stadiums, b) a college football playoff and c) "Sports fans must be able to view their local sporting events via television or the internet, regardless of the their service provide." That's the kicker—a direct shot at cable companies. I wasn't much interested in that part, but I thought it was amusing that the SFC document was leaked because they tried to have an internet contest for people to design them a logo. (Some of which were pretty silly looking.) So I figured I'd make fun of that in a Deadspin-y way and move on. I told the "source." Eventually, I spoke to Goodfriend on the phone and he was not willing to go on the record, because the group has not actually launched yet. However, he is a former satellite executive, but was also a staffer at the FCC and has worked in telecommunications lobbying circles for years. The gist of what he did tell me—which did end up in the Washington Times story—is that satellite companies listed in the presentation were merely "target companies" for funding. They had not actually agreed to give him anything yet, and they were picked mostly because those are the people he knows and has business contacts with. He explained that he would not give the companies control, but would gladly take their money. He also stated that I was not the first person to contact him that day, which was unusual, because he had not gone public yet. He suspected that the cable companies were out to get him. He seemed to relish the idea that he was now a target, because that meant they were worried about him. It made him sound like a bit of a conspiracy theory nut ... except he turned out to be right. Change of plans. I won't be doing a story today. Maybe next week. Do you have any more information on this or are you only basing it on the powerpoint presentation? Dashspin: well, the powerpoint is available to anyone. and on its own is not that damning. He sent me another email, which was basically just a summary of the PowerPoint presentation. No independent research that I could see. Dashspin: ok. but i don't see anything in there that's not in the powerpoint. Dashspin: do you work for one of these companies? Dashspin: well, to be honest, i don't see any reason to think that they're bankrolled by some power broker. and even if they are, i'm not really interested in fighting your pr battle for you. Obviously the satellite industry is no angel on this issue, having executed a long term exclusive deal with the NFL for its Sunday Ticket package. For years cable customers (like me) have been frustrated with their inability to access that package without having to switch to satellite TV full-time. To be fair, I would probably switch to satellite if they could ever figure out a way for me to be able to actually watch TV when it's freaking raining outside. This year, when the NFL is blacking out millions of fans for their local game because the stadium isn't selling out due to a massive recession, the only way to get access is through DirecTV. DirecTV is complicit with the NFL in robbing sports fans of their locally televised games, but rather than try to fix the problem or do the right thing, they're going to attempt to drive fans' anger toward their cable competitors. The satellite industry is no angel on this issue, having executed a long term exclusive deal with the NFL for its Sunday Ticket package. For years cable customers have been frustrated by their inability to access this package without having to switch providers. This year, when the NFL is blacking out millions of fans from their local game because the stadium isn't selling out in a recession, the only way to get access is through DirecTV. DirecTV is complicit with the NFL in robbing sports fans of their locally televised games, but now they'll attempt to drive fans' anger toward their cable competitors. But in the early going, the coalition would be funded exclusively with corporate money, leading watchdogs to question whether the group will avoid being influenced. "The reason a corporation would sign on is because it likes the message," Ms. Sloan said. "They would have to be sold on it." Except no corporation has agreed to it yet. There's no way to know if a satellite company likes that agenda, because they haven't donated yet. But that's the cable company spin and Lemke gladly repeated it. He didn't take Goodfriend—an on-the-record source—at his word, but repeated cable industry talking points with no evidence to support them. This is how your news gets made. 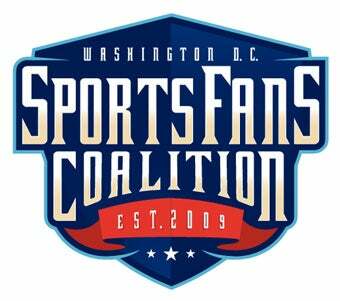 So is the Sports Fan Coalition legit? Who the hell knows? They haven't done anything. Technically, it doesn't even exist. But to assume that they are shady just because a cable company PR person tells you they are, is the height of gullibility. Maybe Goodfriend is full of it and I'm the one who got snowed. Maybe the SFC is completely in the pockets of Direct TV. That doesn't suddenly make a Comcast/NBC merger a good idea. Why is it okay to stop satellite companies from hurting cable, but not the other way around? Open access and net neutrality are complicated issues with few right or wrong answers—I asked my source for more explanation, but he has curiously gone silent—but just because one side makes money and the other doesn't, that doesn't automatically make it a bad thing for you, the consumer, or the fan. The point is to ask the right questions and always, always, always consider the source. It's easy to get seduced by a source offering you an important exclusive. I almost was. The Rumors and Rants post ends with the ominous warning: "don't believe anything coming from the Sports Fan Coalition." I'd say the same thing about anonymous PR people. Not sure I agree with your assumptions as to where I got the documents or how I reached my conclusions. Based on your post, I don't think we talked to the same people. I had my eyes open to cable's possible interest in this from the start...that doesn't make it a non-story. The documents speak for themselves, no matter who gave them to me and why. I've been a reporter in Washington for 10 years and it's par for the course for these groups with seemingly innocuous names to pop up, only no one ever realizes there are industries behind them. The Global Climate Coaltion? Funded largely by the oil and coal industry. Americans for Medical Progress? Pharmaceutical industry. It's our job as reporters to point out when this kind of thing occurs. As for the NFL Sunday Ticket question, which is a valid one, I asked Goodfriend specifically about that, wondering how he could possibly be against exclusivity when DirecTV has that arrangement with the NFL. He said it's not the same issue, because the Sunday Ticket deal was open to all bidders and DirecTV simply won out. Maybe Goodfriend hasn't gotten any money from anyone yet. Maybe it will turn out to be totally grassroots funded, in which case I don't see why anyone should object to it. But f he's soliciting money from a specific group of companies that would benefit from his platform, that's a story. P.S. I know you're just trying to keep everyone honest here. As a Philly native, any blog run by AJ Daulerio will always be a favorite of mine. Philly? Told you he was biased! Anyway, thanks to Tim for his polite response. (More than I deserved, probably.) It is about keeping people honest. Yes, folks, I'm a Washington lawyer/lobbyist. And, yes, I was an executive with DISH Network for many years. I also worked in the Clinton White House, Congress, and the FCC. A while ago, a congressional staffer called me and asked, "Dave, who is someone we can invite as a witness to testify on behalf of sports fans at our hearing?" I couldn't think of anyone. There certainly are enough public policy issues for fans to get involved with— ticket prices at publicly funded stadiums, game blackouts, etc, and there already are federal laws on the books governing the sports industry (or protecting it, depending on your view). I did some digging around and realized that there really is no single advocacy/lobbying group in DC representing the interests of sports fans. Certainly nothing well funded and methodical. But I knew from my time in the satellite industry that there are tons of lobbyists for professional sports leagues, the NCAA, sports programmers, and big distribution companies. I also knew from working for DISH Network that a lot of times, the gripes of sports fans are shared by some pretty big companies who get shut out of programming deals. So I asked a simple question: why not start a new non-profit advocacy group for sports fans? But instead of making it some feeble shoe-string whimper, why not get some bucks from companies that feel just as shafted as the fans do? The key, I thought, was to make sure that any corporate donations did not result in any kind of real control by the donors. Take the money, but either they believe in the agenda or not—they don't get control. Yes, I'm going after corporate donations. So do most of the high-profile non-profits in DC. If I'm going up against some of the most powerful interests in the US, I want some big dogs in my corner. And when the website launches, you'll be able to see right there exactly who everyone is— total transparency. I'll even post the legal documents setting up the organization so you can see for yourself how it's set up. That's not astroturf. That's honesty. Truth is, I always figured I'd get shot at by the Big Leagues and Big Cable, but I didn't realize they'd use a Howitzer on a seedling. Thanks to Dash, we all now know that it was cable PR hacks who planted that story with the Washington Times, trying to kill this thing before it even gets off the ground. I got e-mails and phone calls from big-time lawyers for the Leagues and Big Cable trying to talk me out of this. All of which has just made me want to launch the Sports Fans Coalition even more. So stay tuned, sports fans. Hopefully we'll be able to launch the website within a few weeks. Hopefully tons of fans will join the coaltion. If they do, we'll mount a real advocacy campaign for fans in DC. And if they don't, well... I get to watch a lot more sports this winter.